The gut microbiome — a teeming mass of bacteria, fungi, viruses, archaea and protozoans that live in our lower gastrointestinal tracts — has captured the attention of health-conscious consumers. Through controlled studies with mice, scientists have learned that by manipulating the microbiome, we can induce weight loss, affect pain perception and decrease hormonal responses to stress, among other fascinating outcomes. We know that the microbiome interacts with the immune, neuroendocrine and cardiovascular systems to affect health. By providing a warm, nourishing environment for microbes, we sustain the microorganisms that help maintain good gut and immune function. Based on these observations, it may seem intuitive that scientists can recommend foods to nudge the microbiome to promote health, right? The answer is an emphatic “no.” Here’s why. Nutrition is a team sport. In many cultures, foods fermented and fresh provide all the nutrients necessary for a vibrant life. And we’ve known for more than a century that what we eat profoundly affects our microbial residents. Awarded the Nobel Prize in Medicine in 1908 for his cellular theory of immunity, Élie Metchnikoff inspired generations of scientists and food product developers with his proposal to transform the “toxic” flora or microbiota of the large intestine into a host-friendly colony of Bacillus bulgaricus through the consumption of yogurt. In spite of research on conditions from ear infection to colon cancer, the only proven effects of probiotic bacteria (like those in yogurt) are for the prevention of Clostridium difficile-associated diarrhea. We do know that a diet dominated by vegetables or meats can dramatically alter “who” populates an individual’s gut microbiome and “what” these organisms are doing there. In fact, we can significantly shift the composition of the microbial community with dramatic changes in dietary patterns from one day to the next. It’s clear that short- and long-term variation in the gut microbiome is vast, even in healthy individuals. This microbial community comprises a diverse ecosystem in which organisms compete for resources, occupy niches and produce metabolites with myriad consequences for other microbes and for human health. However, we are still learning to identify all the bugs that populate our guts, how they function and how they interact with each other and with the human body. 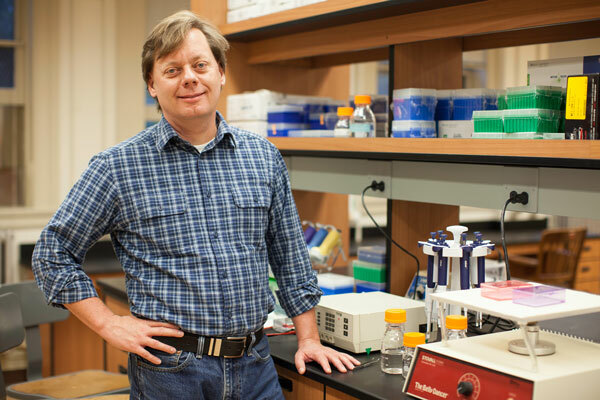 Research at Oregon State (see “Gut Check”) and elsewhere merges basic nutritional sciences with genomics, bioinformatics and other disciplines to interrogate when shifts in the microbiome occur and why. OSU researchers study a variety of topics, from diet and interactions with the immune system to exposure to chemicals in the environment. But simply put, scientists don’t yet know enough to make specific statements with confidence about how we might promote a healthy microbiome through diet. Scientists are excited to know that biological processes in early development, cognition, aging, disease prevention and treatment involve the microbiome in our gut and other organs. Nevertheless, research is needed on many fronts. We need to increase our understanding of individual variations in the gut microbiome, the impact of diet and physical activity and the mechanisms by which the gut microbiota and their metabolites impact host physiology and the development of disease.